What are Some Causes of Lethargy? Inadequate sleep can cause lethargy in children. 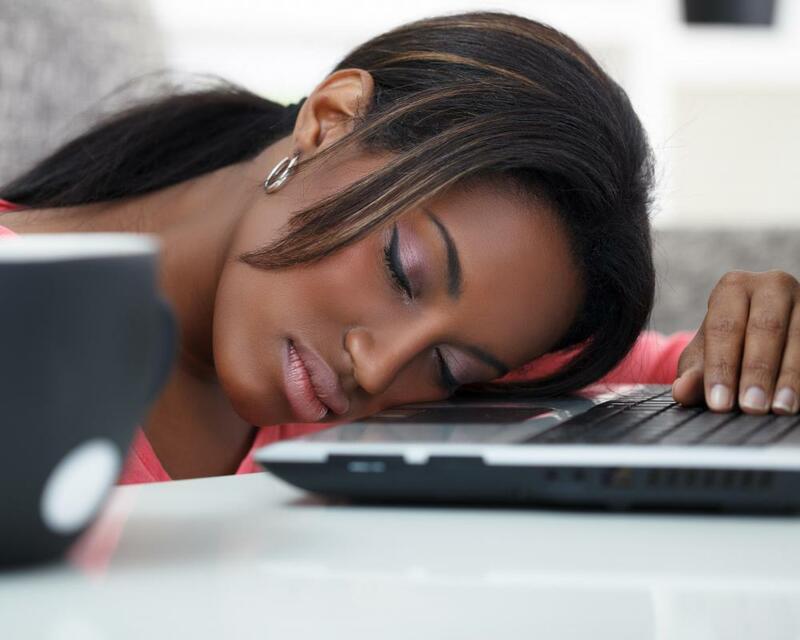 Overworking might cause sudden drowsiness. 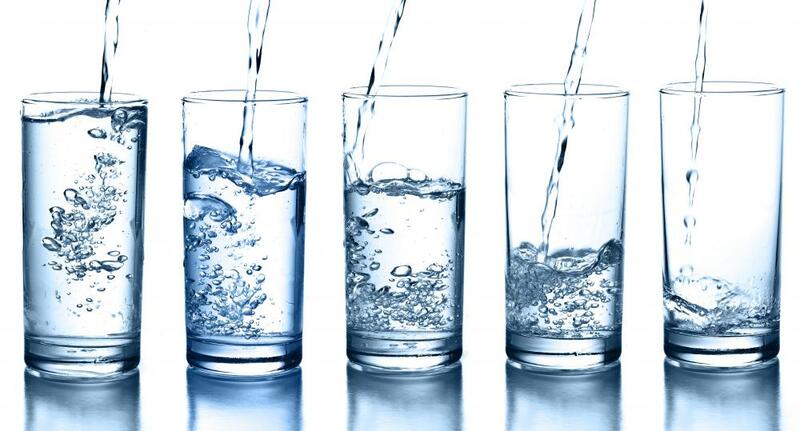 Not drinking enough water can cause lethargy. Postpartum depression may occur during postpartum depression. Lethargy accompanied by a fever should be diagnosed by a doctor. 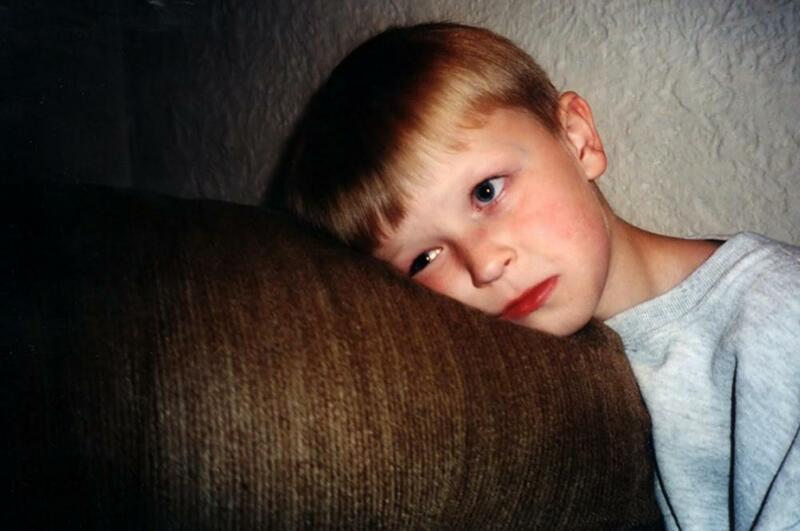 Chronic exhaustion can be caused by Addison's disease. Setting aside time for a nap each day may help an individual who is suffering from lethargy. 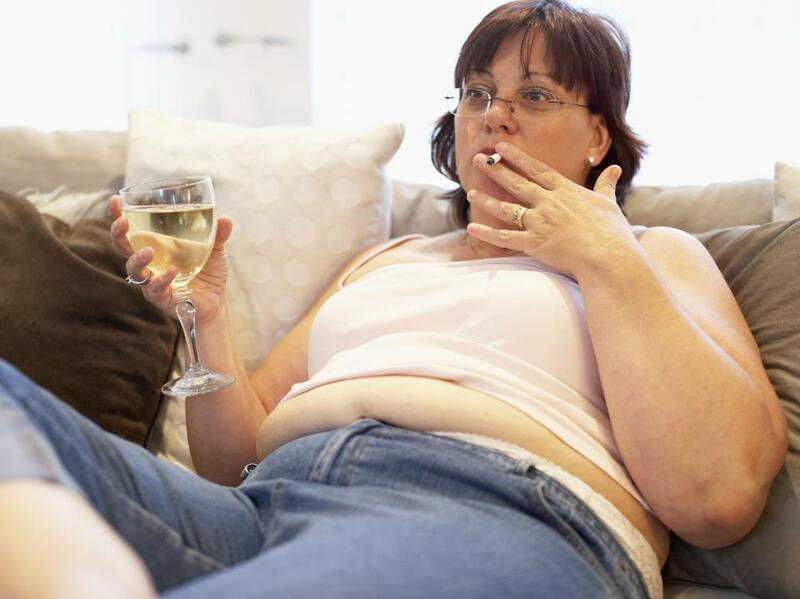 An unhealthy lifestyle can cause lethargy. Persistent, daily drowsiness should be brought to the attention of a doctor. Depression may be the cause of lethargy. Smoking marijuana is known to cause lethargy. Many different illnesses and mental health conditions can cause fatigue and drowsiness, also known as lethargy. Medications, extreme physical exertion, and sleep disruptions are also common causes, as are lifestyle factors, such as a poor diet. While most causes of lethargy are not dangerous, it can sometimes indicate a severe illness, so experts often recommend seeing a health care professional if exhaustion lasts for several weeks. 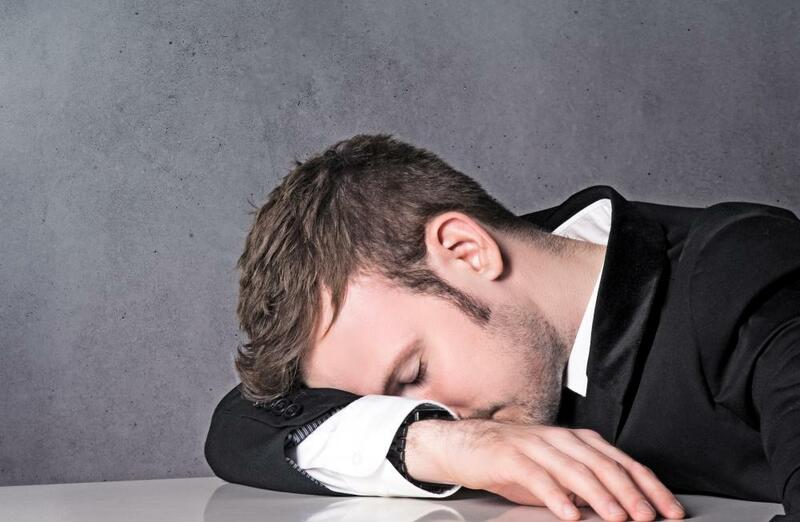 Drowsiness and fatigue can be the result of many chronic or temporary medical conditions. Thyroid problems, such as hypothyroidism, can slow the metabolism and may result in exhaustion or weakness. Organ disorders, like jaundice, are also associated with lethargy. Common illnesses, such as a cold, food poisoning, or the flu, can also result in days or weeks of feeling run down and tired as the body puts its energy into fighting off the infection. Some serious illnesses can also cause a person to feel drowsy, weak, or unable to function normally. Addison's disease, in which the adrenal glands cannot produce enough hormones for normal body functions, causes chronic exhaustion. Meningitis, a dangerous infection, may also cause extreme drowsiness. Many heart conditions, including heart failure, are associated with a feeling of fatigue and muscle weakness. Since most serious illnesses cause multiple symptoms, lethargy that occurs with a fever, shortness of breath, severe neck pain, or fainting spells should be reported to a medical professional. Curing lethargy caused by illness is usually a matter of diagnosing and treating the underlying cause. If fatigue is due to a common illness, it will typically pass in a few weeks. More serious conditions may need to be treated with medication or hormone therapy. Some causes of fatigue are very hard to treat, and patients may need to make lifestyle changes in order to manage the conditions effectively. When psychological disorders are involved, lethargy may be accompanied by feelings of indifference or detachment, as well as exhaustion. For some people, the symptoms come and go, while others experience constant drowsiness or mental fatigue. The condition is often related to depression or bipolar disorder. In acute cases, it may also be a symptom of shock. Some doctors believe that lethargy can also be caused by a combination of hormonal and psychological changes, like those that happen during menopause or postpartum depression. It may also occur during times of severe stress, such as during a divorce or following a death. If feelings of exhaustion or indifference last for a long time, or are accompanied by depression or suicidal thoughts, a person may want to speak with a mental health professional. Psychological causes of fatigue or indifference can be treated in a variety of ways, depending on the specific cause. Some type of psychotherapy may be helpful, as can making behavioral changes, but this might not be enough on its own. A health care professional may prescribe medications that can correct chemical imbalances in the brain if this is believed to be part of the cause. Many medications cause drowsiness or fatigue as a side-effect, including antidepressants, antihistamines, heart medications, and many other prescription and over-the-counter drugs. In some cases, combining certain drugs can also cause symptoms. Many heart medication cocktails, such as digoxin and the complementary drug quinidine, frequently have this effect. Taking recreational drugs may also cause lethargy. Drinking too much alcohol causes dehydration, which results in exhaustion and weakness until fluids and minerals are replaced. Mood-altering drugs, such as marijuana, slow down the central nervous system, causing extreme fatigue. Regular and excessive drug or alcohol use can turn these temporary effects of intoxication into chronic conditions. Speaking with a health care professional may be a good idea if persistent fatigue seems related to the medication a patient is taking. The symptoms may fade after the initial weeks of treatment, as the body begins adapts to a drug. Other times, the medical professional may switch the patient to a different type of treatment. Unfortunately, this is not always possible, and patients in these situations may need to consider changing work schedules, getting more rest, and finding other ways to cope with the fatigue. Leading an unhealthy lifestyle can cause acute or chronic bouts of drowsiness. 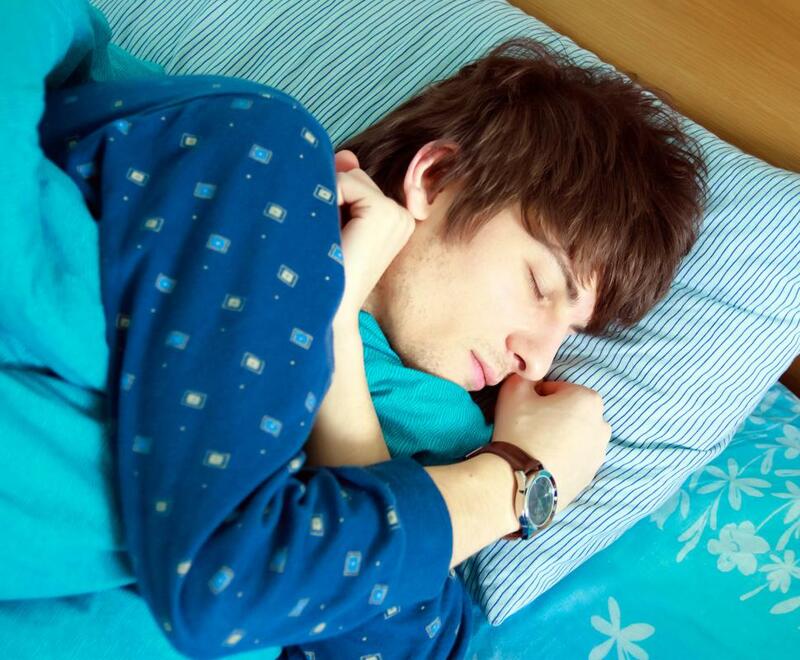 Lack of sleep naturally results in tiredness and mental exhaustion, and eating a low-calorie diet, or one that does not provide the body with enough nutrients, may also bring fatigue. Exercising too much or too hard can lead to dehydration and sudden drops in blood sugar, followed by extreme exhaustion and weakness. Some temporary symptoms may be caused by sudden changes to a daily routine. Jet lag, for instance, sometimes disturbs a person's sleep. People who live in regions that observe daylight-saving time may also experience tiredness when the clock shifts forward or back. Luckily, these symptoms often fade after a day or two, as the body adjusts to its new schedule. Most lifestyle-induced causes are treated by stopping the behavior that is causing the problem. This might mean setting aside time for a nap each day, eating better, or quitting alcohol and drugs. Treating these problems early is important, since they can lead to many health issues beyond lethargy. To any and all posters: if you feel run down and lethargic, and are as tired or more tired then when you went to bed, then do yourself a favor and have your doctor do a blood test for hepatitis. I am no expert, but I know a thing or two about hepatitis B. About 70 percent of people do not have any symptoms whatsoever to give them a clue they are sick with hep b, that is until they develop bad liver disease like fatty liver disease or liver cancer. If you are in the 30 percent range of people who get symptoms, then some of those symptoms will include: abdominal pain, dark urine, fever, joint pain, loss of appetite, nausea and vomiting, weakness and fatigue and yellowing of your skin and the whites of your eyes (jaundice). I don't know how old these posts are, so I hope my new post can help someone else who is suffering from lethargy. I myself am suffering from lethargy, but I have no clue why. Anyway, my mother-in-law who was an RN, found out that in some instances, it could be due to a heart defect, whereby a person is born with a considerably larger heart. For example, there was a 10 year old boy who could not keep up with his three year old sibling. After a heart transplant, however, he was no longer lethargic and was able to live a normal, active life. Although there are many reasons for being lethargic, I am simply adding one other possibility to consider since the article did not address this. There are no dates on these posts so I have no idea how old this thread is. I suffer from life long debilitating fatigue. I have had no life or chance for one due to it. I believe I have ADD type 2 Primarily inattentive and the fatigue is a symptom, often hardly touched upon, due to it. I was born one month premature, with no complications, to a mother who smoked. I think these conditions helped contribute to this ADD. Stimulants do not help and actually cause me to crash with no high before it. When I had to walk to school and work, I was no more energetic because of it. I am fed up with people saying exercising helps. I can no longer work but on paper I am healthy. I have been feeling lethargic for quite some time. I don't often but seem to do so either when I have been in a stressful relationship, and/or meeting deadlines for my Uni work. constantly feel so exhausted and my normal sparky motivation and jumpiness and also positive outlook feels heavy and somewhat empty too. I have been eating extremely well, two meals per day (breakfast: OJ, 1 granary toast with margarine, bran flakes with 1 banana and a hot tea of camomile. throughout the day I try to eat and enjoy some fruit. And for my usual lunch: chicken (with no additives, cooked in the oven) steamed vegetables and a homemade salad (one of my favorites). I am not getting much, if any exercise at the moment, as I feel that I am always running against time and must make sure I work with my university work for my deadlines adequately. I am sleeping OK, I think, but still very much waking up feeling so very exhausted. I try to get around seven or eight hours, but my brain wakes me around 5 to 6 a.m. most mornings and doesn't wait for the alarm unfortunately. Even when I go to bed around midnight, or 11 p.m. and set my alarm for 8 a.m. as I feel so constantly tired. Apart from exercise, which I will join a gym soon (as I miss it too), is there anything else I can take or do to get back my bubbliness, and enthusiasm in my outlook for my life, in particular for my academics? I have suffered from lethargy most of my life, which my mother considered to be just plain "laziness." However, given that I was severely allergic as a child and I did not physically develop as fully as I should have so that I have what would be described as "string-bean" thin limbs and the torso of a pre-pubescent boy I think it could be a metabolic condition despite the fact that the doctors who have prescribed basic, "comprehensive" blood tests claimed that the results show nothing wrong with me! There have been days where I have literally felt too weak to even get up!! I don't know what to do about it or who to go to for help. But I know it is not a dietary problem, because no matter what I eat, or how much I always stay "bone-thin." In fact, the more I eat the sooner I have to go to the toilet! I have been telling doctors all of my life how tired and listless I am. I have no idea what energy feels like. Nobody seems to take me seriously. They have prescribed anti-depressants, which did nothing, a C-Pap machine which did nothing. This lethargy has ruined my life and the lives of my children. How can I get a doctor to take me seriously? This is so very distressing. My daughter tells me she is lethargic, with no energy and nauseated. I'm such a nervous nelly. Lethargic is the word I use to describe my son when he has a fever and can't stay awake to watch TV. If your child has a fever and is acting normally, chances are they are battling off that nasty virus or infection just fine. However, if you're calling your son to play his favorite wii game you just bought to cheer him up and you don't get a response or he seems slow to react? It’s time to call the Doctor and monitor your child throughout the night. Lethargy is a great indicator of how the germ is affecting the host. While exercising clearly uses up energy, it seems to actually, in the end, increase overall energy levels. So, a good way to combat lethargy is to force yourself to exercise, even if it's something small like a short walk, each day.